ELIZABETH CITY, NC – Get ready, our Pedal To The Metal Event is going on now! We have four, yes FOUR, 2015 Corvettes in our inventory, including one 2015 Chevrolet Corvette Z06, which currently ranks among the best values in production cars. 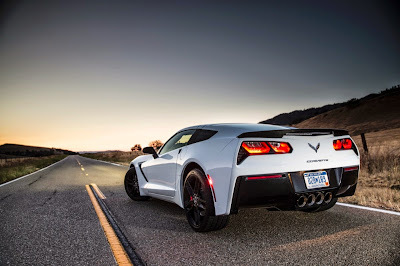 Trust us, this Corvette can run with the big dogs, the 650-horsepower Z06 rolls in with an aluminum frame and is one of the most historic Corvettes in Chevrolet's history! We also have three 2015 Corvette Stingrays available as well including this GORGEOUS black 2015 Stingray Z51, be still our hearts! Hurry, these beautiful 'Vettes won't last long. 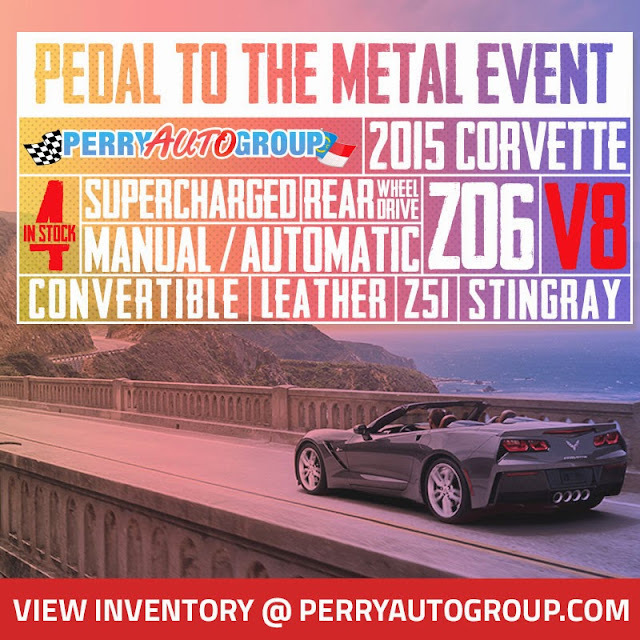 The Pedal To The Metal Event is going on now, and we are offering four SUPERCHARGED 2015 Corvettes! Perry Auto Group has two dealership locations to serve you better at 1005 W. Ehringhaus St, Elizabeth City, NC, 27909 or 1001 Halstead Blvd Elizabeth City, NC 27909. Feel free to call us with any questions at (252) 338-9100.